In honor of my mom, my granddad, friends who feed me, people who dare to let me cook for them, and yet another holiday tomorrow that is celebrated by eating while sitting around something––the beach, the river, the dinner table, the backyard––I’ve collected my favorite food blogs for this edition of the weekly mash. There’s no question why a meal and a dinner table are seen as a kind of sacred space, a thin space, the space where we remember clearly after long walks down roads to important places we can finally see the truth about who it is that we are actually with. So, in celebration, here are the food and drink blogs that have become regular stops for me. Enjoy, and let me know what you think! Food Republic is founded on the idea that guys everywhere are putting food at the center of their lives like never before. This is the site for men who want to eat and drink well, and to live smart. Food52 Before we knew it, we had a community on our hands. A community of talented, well-informed food people who loved to contribute. That’s when our identity crystallized: we weren’t just a social hub, but a constructive community. A place where, together, we create cookbooks, take on food projects, debate food news, help others with our real-time food Q&A — the Food52 Hotline — and band together to support local food producers. Smitten Kitchen Fearless cooking from a tiny kitchen in New York City. A lot of comfort foods stepped up a bit, things like bread and birthday cakes made entirely from scratch and tutorials on everything from how to poach an egg to how to make tart doughs that don’t shrink up on you, but also a favorite side dish (zucchini and almonds) that takes less than five minutes to make. Tasting Table Think of Tasting Table as the friend you call to ask, “Where should I eat tonight?” We’re the friend who knows the best spot for $2 tacos, and which $200 tasting menu is worth the splurge. We’re serious eaters who don’t take ourselves too seriously–like you. theKitchn This is a site for people who like to get their hands dirty while they cook. It is for those who care about the quality of their food, and how it affects the health of themselves and the planet. It is also for those who want to cook more, but are shy in the kitchen. It’s a place to dive in deep, and embrace the joy of one of our basic needs: Food, cooked at home, nourishing ourselves and our households. Here’s a list of the articles, posts and ideas that have had my interest this week. Enjoy. news sources being read by state : See the interactive map from FORBES to discover what news sources are the most read per state. You’d be surprised at Tennessee’s top news source, but not at Texas’s! google art project : I used to take the fact that I’ve been able to travel the world and see famous pieces of art when others haven’t as a kind of badge of honor. The more I notice the presence of inequalities and injustices that make that possible for me and not for others, it makes me happy to see that google has done it again by potentially bringing the masterpieces of the global world to kids trapped in their own neighborhoods. Awesomeness. BBC news in pictures : I’m always a fan of BBC’s weekly news in pictures, but this week stood out in particular. With a trend of incredibly irrelevant news stories I see, it’s always good to remember what is actually going on around the globe, however biased BBC is likely to be as well. My favorite pic is from the Church of the Sepulcher from Maundy Thursday. I remember walking those floors. the best new eats around baseball : Needless to say, I would definitely pay over $20 bucks for a two foot long “champion dog” at the Texas Rangers. Shut your face, I’m starving after looking at these! 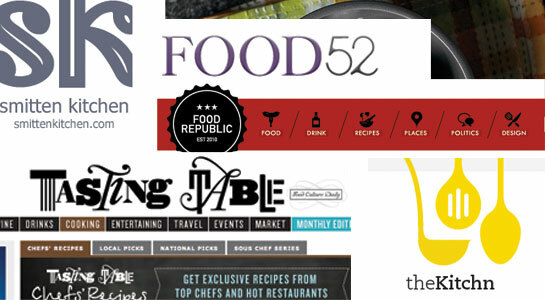 Not to mention, if you’re a foodie, Food Republic should be on your list of web faves anyway. LSJ|relinquishing power in doing justice : A great post written the folks at Common Ground in Cape Town. We talked in my class just a few weeks ago about the way paternalism sneaks into every effort to do good, and what kind of holy interactions we are missing out on when we ignore it. Here’s a good reminder from my other home in Cape Town.